RBright windows are experts in all aspects of double glazing and can offer complete window fitting, installation and made to measure solutions for all your double glazing needs. With our reputation for excellence and attention to detail you can trust us to give you the best double-glazing service in the South West. We offer a professional and friendly service to make sure your double glazing installation goes without a hitch. We can arrange a full consultation for you and provide brochures and advise on styles of window for you. We will measure your windows and can complete most installations within one or two days – minimising the disturbance for you. We operate a no mess policy to ensure that your home is left in an immaculate condition. Contact us today to arrange a quote or consultation. Which Type of Double Glazing do You Need? We offer a wide variety of double glazing styles including aluminium windows, PVCu Windows, Flush Sash windows and Invisifold windows. The primary differences between the options are the styles and finish you are looking for. Aluminium Double Glazing Windows can be finished in in any colour and are highly durable. 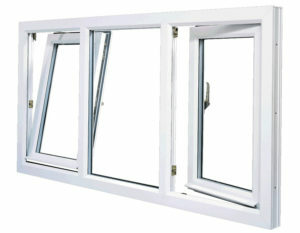 They are strong, versatile and lightweight as well as offering exceptional energy saving with double glazing. Flush Sash Double Glazing offers you classic style with all the benefits of modern insulation. Replicating the famous timber appearance traditional window making these windows can be finished in modern or traditional styles. These double glazing windows are popular if you want to create a country cottage feel or if you want a stylish modern window in white for any building. Invisifold Double Glazed Windows are sliding double glazing windows that allow you to create a wonderful Mediterranean feel and are particularly suited to garden facing windows and conservatories. They slide along a rail allowing you to have a completely open vista to a garden or out of your conservatory. We are happy to offer a no-obligation quoting service and can come to your property and measure up as well as to get an exact understanding of the styles and features you would most like. Contact us today and let RBright Windows fulfil your double glazing needs.